The Shi'ite Movement in Iraq by Faleh A. Jabar. Publisher: Saqi Books, London, 2003. Pp. : 391. Pbk: ｣15.99/$24.95. Against this evolving tension, which culminated during the dark days of the totalitarian Ba'athist regime as a formidable repressive machinery, Jabar sheds light on the evolution of the social structure of the Shi'a community in Iraq. He provides a glimpse of the historical development of various sub-groups: tribal confederations, the ulama, armed urban guilds, and merchants. An interesting feature of his analysis is the internal divisions of the ulama, who "were divided along ethnic lines: Persians, Azeris (Turks) and Arabs," as well as "by primordial solidarities: the family and the city" (pp. 64-65). This is a situation that Jabar alludes to in many places throughout his book, such as in his brief discussion of the fact that "prominent clerical families retained their actual or potential autonomous power base", which resulted in a "fragmented social authority and produced multiple political centres within the militant Shi'ite realm in Iraq" (p. 255). He even devotes a whole chapter (chapter nine: "The Rise and Centralization of Marja'ism") to a discussion of the institution of marja'a taqlid (壮ource of emulation'), and of the polycentric nature of this institution. But apart from pointing to the existence of the divisions among the Shi'a ulama, Jabar does not attempt to construct a detailed portrait that delimits the landscape and workings of these divisions and shows how they developed in the arena of social and political activism. This is no small oversight: these divisions have weighed heavily on the development of Shi'a movements in Iraq, nurturing intense politicking, discord and rivalries that contributed to the fragmentation of Shi'a social and political activism. Jabar traces, through analytical lenses tainted with strong Marxian notions which privilege economic factors as a fundamental process influencing social and political formations, the origins of the Shi'a Islamic movement in Iraq to the aftermath of the coup d'etat in July 1958 ("the July 1958 revolution") that overthrew the monarchy. "It [the Shi'a Islamic movement] was a direct response to the changes this revolution symbolized and completed," he says. "These changes involved the decline of old social classes, including the clerical class. Such a decline involved a multitude of social, economic, cultural and political facets and was obviously a complex historical process. "Of particular concern to the religious elements in the Iraqi Shi'a community at the time was the "unprecedented" influence wielded by the Iraqi Communist Party after 1958, "notably during the first two years of the revolution" (p.75). These factors enumerated by Jabar have definitely had their impact in producing what Karl Deutsch calls "social mobilization" among Iraqi Shi'a youth. But one wonders why the author excludes the role that might have been played by other factors, such as mass education, with its ability to increase levels of social communications, in creating an audience receptive to the appeal of organized activism. The challenges of the 1958 coup elicited two different responses from the "clerical Shi'ite class and their Najaf mercantile allies." The response of the senior generation of the ulama "was pedagogical and philanthropic in character and centred on expanding and renewing the madrasa and extending social services." However, "a Najafi group of reforming junior, apprentice 爽lama and Shi'ite lay activists from mercantile families" led a second response that was "ideological and political in character; namely it opted for the creation of a universal Islamic ideology to supersede Marxism and the formation of a modern organization to spread it" (p.76). Another source of tension between the Da'wa Party and the establishment of traditionalist ulama stemmed from the quietist trend that reigned supreme among Iraqi Shi'a ulama circles. In the modern history of Iraq, the quietism of the Shi'a ulama, as a deliberate and calculated aloofness from politics, increased after the deportation of non-Arab ulama who had opposed British attempts to impose a treaty on Iraq in 1923. Upon their return to Iraqabout a year later, they pledged not to "interfere" in politics. At about the same time as the Da'wa Party was formed, a parallel course of action was set into motion to establish an organized body for Shi'a ulama.These efforts resulted in the formation of the Jama'at al-Alama fil-Najaf ("society of ulama in Najaf"). Jabar argues that the origins of this society lie in "the same circumstances" that led to the formation of the Da'wa Party. "The general alarm felt by the mujtahids, senior and junior, prompted a drive to form an organized body to combat communism and reassert Shi'ite values and Islamic tenets" (p. 110). Jabar also provides a portrait of the composition of the Society showing the "overwhelming predominance of Najaf in the group" (p. 110). The activities of the society emphasized educational and welfare work, setting up clinics, a social assistance fund to help the poor and needy, and "an impressive number of schools" (p. 114). The society also published its own journal, Adhwa' (lights), which ran for about three years. The journal "played an important role in establishing new intellectual traditions and providing a sense of meaning and identity to the junior Ulama and their close collaborators" (p. 114). Among those who wrote the editorials of Adhwa' were a number of ulama who rose to prominence later on in their lives, including Ayatullah Muhammad Baqir al-Sadr shaheed and Ayatullah Muhammad Hussein Fadlallah, the celebrated Lebanese Shi'a mujtahid. However, Jabar's account of the society ends abruptly at the "barrage of criticism from different quarters of the senior ulama inside and outside the society" (p. 119) that forced al-Sadr to leave the group. The author does not tell us what became of the society after this episode. The best-known Iraqi Shi'a Islamic group, apart from the Da'wa Party, is the Supreme Council for the Islamic Revolution in Iraq (SCIRI, which the author of this book calls SAIRI, the "Supreme Assembly for the Islamic Revolution in Iraq"), established in Tehran in November 1982. SCIRI's formation was "a result of Iranian impact and intervention" (p. 235), to create a structure that would help the Islamic movement in Iraq to rise above fragmentation, keep its fissiparous tendencies in check, and acquire a unified framework for action. Jabar analyses the development of the organizational structure of SCIRI, the composition of its senior officials, and its strategy and tactics. He concludes that the formation of SCIRI and its military activities alongside Iranian forces during the Iraq-Iran war "had negative effects on the Islamic groups," adding that their "collaboration with the Iranian war machine assumed an anti-national character SAIRI and its allies could not reach out to their co-religionists in Iraq" (p. 254). Jabar's very concise examination of SCIRI ends abruptly at this point; he shies away from using his sociological tools of analysis to examine the factors that prevented SCIRI from achieving its goal of providing a coherent organizational structure for high-level strategic planning and action for the various Iraqi Islamic groups. 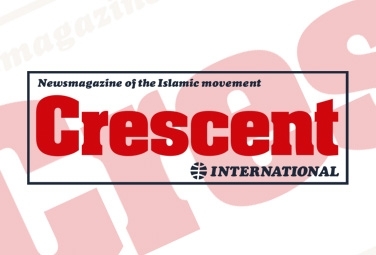 SCIRI became one more faction in the faction-ridden landscape of the Iraqi Islamic movement. Jabar neither explains this nor looks into the rancorous rift between the Da'wa Party and SCIRI that has since dogged the Shi'a Islamic movement in Iraq. Moving beyond this flaw in Jabar's account, one is confronted by two other serious lacunae. The first is his extremely sketchy, sporadic and broken account of the Munazzamat al-Imal al-Islami (Islamic action organization'). The second is his extremely patchy treatment of the "Sadrist trend". Although the former has always had a marginal place in Shi'a activism in Iraq, the latter has been catapulted to the centre stage of Iraqi politics since the fall of Saddam Hussein. Needless to say, no account of the "Shi'ite movement in Iraq" can be complete without a full description and analysis of al-Sadr's movement. In many ways, The Shi'ite Movement in Iraq is primarily an account of the formative period and early stages of the Da'wa Party. Compared to his exhaustive treatment of the phases of the history of the Da'wa Party, Jabar's discussion of later developments of other Shi'a factions and trends in Iraq stands on thin analytical, investigative and methodological ice. And despite his anthropological forays into Muhharram rituals and theoretical excursions into modern Shi'a political and economic thought, the book still falls short of fulfilling the promise of the claim to be a comprehensive, thorough and well-rounded study of Shi'a social and political activism implied by its title. The thick carapace of social science concepts, jargon and terminology does not completely hide these shortcomings. If anything, these make the omissions look more inexplicable and serious.